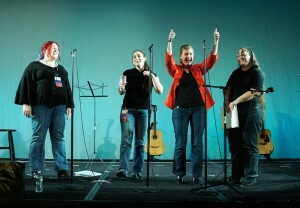 This is not actually us at Balticon, but getting excited for it at an earlier concert. 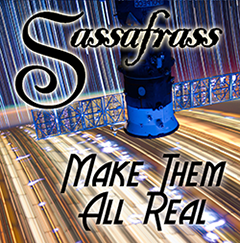 Sassafrass had a great time at Balticon! 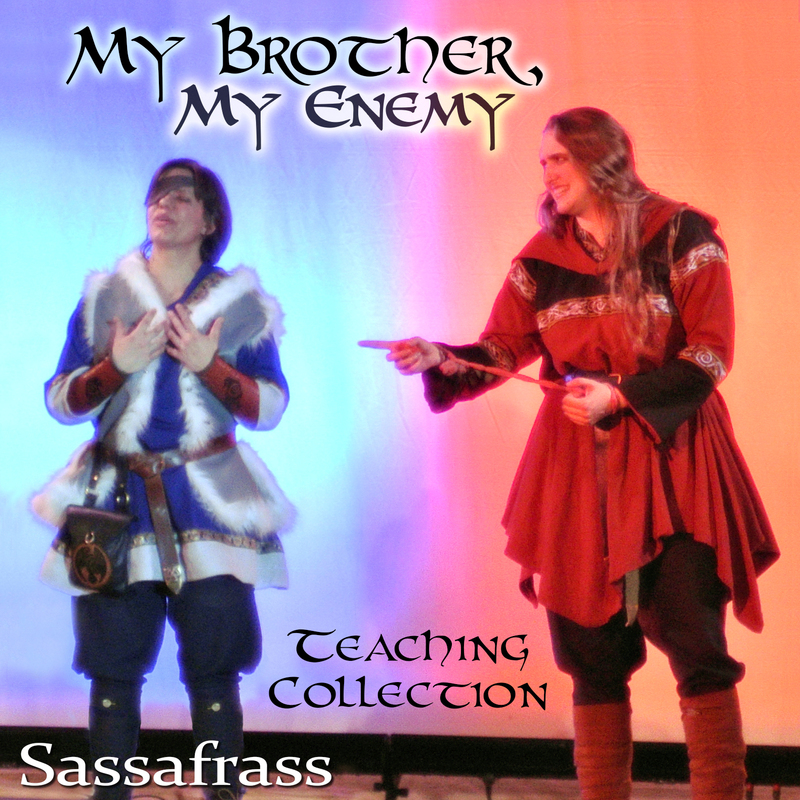 No concert this year, but we performed at open filk circles on both Saturday and Sunday nights. 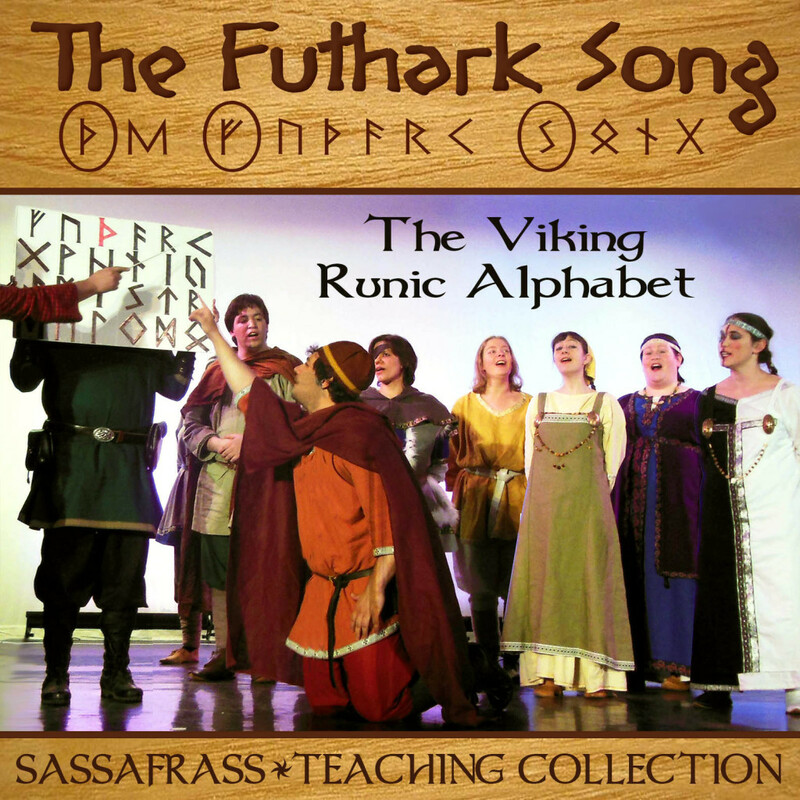 We performed, in no particular order: Hearthfire; Sapphire, Ruby, and Gold; the Futhark Song; A Proper Mermaid Tail; Caravan; and Somebody Will. Friday night, we had a chance to celebrate once more with Mark and Barbara, and see how happy they are in their new life together. Much of the weekend was spent in pleasant company, good games, and interesting panels, for the most part. But we did get a chance to see three concerts, all of which were spectacular. Heather Dale and Ben Deschamps, the Music GoHs this year, were spectacular as always, and it was great to hear some of the music from their newest album. S.J. “Sooj” Tucker gave an amazing performance. Each set of performers backed up the other, and it was awesome to see them work together so beautifully. The other great concert we experienced was the Chromatics, a delightful group of NASA scientists who are also a professional a cappella (in this case, “astro cappella”) group. We got a chance to talk to them after the concert, and were able to perform “Somebody Will” for them – one of the more appropriate audiences we’ve ever had for that song. 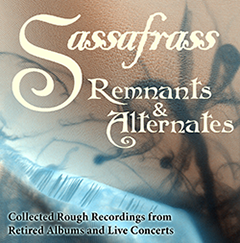 Thanks again to the members of the group for the music exchange! Huge thanks also goes to Gary Erlich, the Balticon filk chair, who sat down with us on a busy Saturday night for a long meeting to hammer out the logistics for next year’s concert – the complete Sundown cycle, on stage. 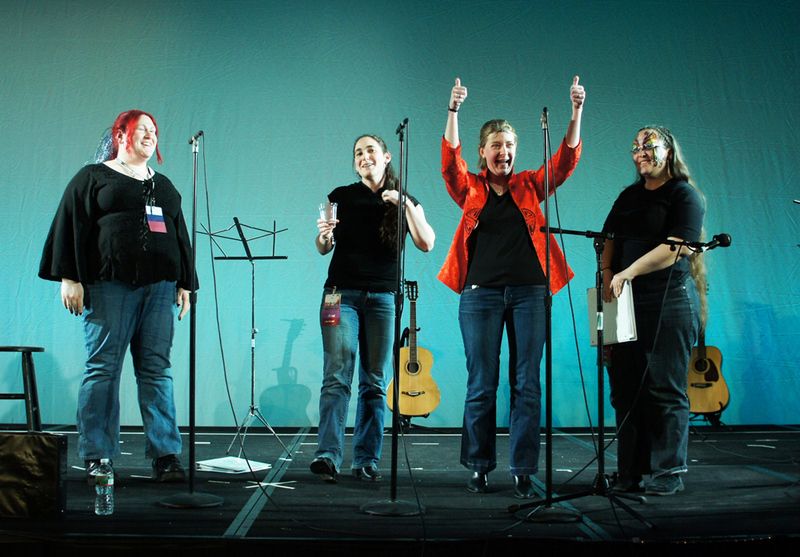 Keep watching this space for more news on that concert and see the post above this one for more about Balticon 2013! Thanks again to the entire Balticon staff and membership community, for a wonderful weekend.